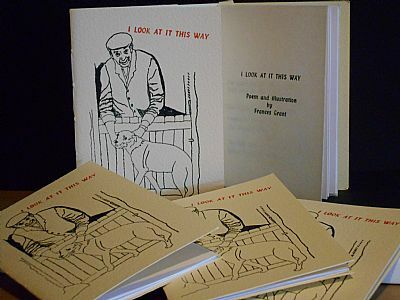 An amusing poem about a man and his dog by Frances Grant, who also did the illustration for the cover. A6 poetry pamphlet, letterpress printed on an ADANA “eight-five”and sewn into Bockingford cover. Limited edition of twenty.